UKM Holdings Sdn. Bhd. 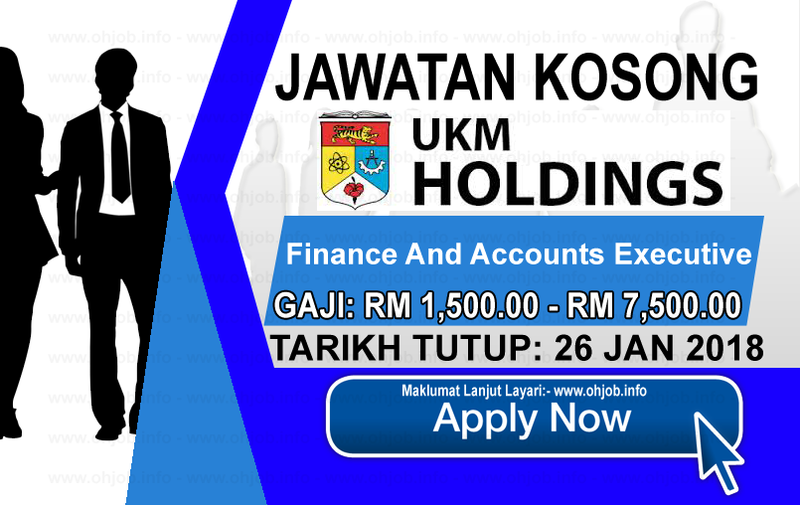 (UKMH), an investment holding company, and wholly owned by UKM, started its operation in the year 2000. The function of UKMH is to coordinate and monitor the business operation of the University, as such becomes the commercial arm of UKM. Currently UKMH is involved in 5 core sectors, namely Private Healthcare Management, Consultancy, Training Academy, Hospitality and Prepress & Printing. Terima Kasih Kerana Membaca Dan Menyemak Jawatan Kosong UKM Holdings Sdn Bhd (26 Januari 2018) Selamat Memohon Dan Semoga Berjaya Kami Ucapkan, Sila LIKE Facebook Page Kami Dan Kongsikan Kepada Semua.